I read in a kitchen design book that a typical kitchen remodel can cost anywhere from $15,000 to $60,000. I was shocked. I assume that the $60,000 price tag includes solid gold faucets for the sink? I'd rather pay off our mortgage. I reckon though, that if one hires a kitchen designer, architect, contractor, plumbers, electricians, and carpenters; plus buys all new cabinetry, appliances, lighting, windows, and flooring, one could rack up quite a bill. We're replacing quite a few things in our kitchen too, including the windows, door, cabinets, countertop, exterior walls, and light fixtures, plus putting down a new floor. However, we're doing the planning, designing, and installation ourselves. Even so, I'm conscientious about the cost of all these things, because they represent hours that Dan has to be away from the homestead. I consider too, that every dollar saved on one thing, can be invested in something else we need. For the base cabinets, I scoured Craigslist for weeks, looking for bargains. I finally found someone selling a truckload of 2nd hand cabinets. Everything was pretty much picked over by the time we got there, but we were able to buy two pieces. The other two I needed, we got new from the same builders surplus warehouse where I bought the two new windows and the kitchen back door. We spent a total of $270 for almost 9 feet of base cabinets plus an over-fridge wall cabinet. I thought we did great until we laid them out. What the gentleman sold us as a 54 inch blind corner cabinet, turned out to be 57 inches. That was 3 inches too many to fit on that wall! Shortening one of the base cabinets. Though all the cabinets are oak, the trade-off for mixing and matching is slight variations in size, different finishes (or unfinishes), and different styles of door framings and drawer faces. I can live with that though, considering the price we paid. My "fix" for this will be paint. While I personally think it's approaching sacrilegious to paint oak, there's no way I could match the stain color. I'm hoping that being the same color and having matching hinges, knobs, and pulls will visually tie them together and minimize their differences. What we bought wasn't my first pick. The one I actually liked best was the least expensive, which pleased me. Not that price is always a top consideration; I also thought it was the prettiest. It was lighter in color (which is why I liked it) but unfortunately, didn't work with my color samples; it was too yellowish. I might not be fussy about my cabinet styles matching perfectly, but I am fussy about matching colors! Dan liked these best anyway, because they have that granite look. I liked them because they were the second least expensive. Best of all, it coordinates with the colors in my dining nook wallpaper border. We still have to get the kitchen sink, but that's a ways down the road yet considering we have to install the floor before the cabinets, and we're still waiting on that. It's just nice to finally get glimpses of it all coming together. On the heels of ordering spring garden seeds, I'm thinking not only what to plant for us, but what to plant for our critters as well. I first wrote about growing our own animal feeds last July (Food Self-Sufficiency & Animals). This is one of our self-sufficiency goals, and no small one as we're learning. We've made some initial steps in that direction, but I have to confess; the more I research this topic, the more questions I have. With goats, there seems to be a lot of controversy regarding feeding grains, particularly amongst homesteaders and small holders. As ruminants, goats' digestive systems are best suited for grass, hay, and forage. The problem with feeding grain to goats, even cracked grain, is acidosis. Acidosis occurs when something slow to digest, like grain, ferments before it's moved through the gut. This creates an acidic condition called acidosis. Acidosis can be fatal to goats, which is why care must be taken when changing their diets or increasing grain. It's also why many goat owners offer baking soda free choice on the side. In particular, grain discussions always seem to mention corn. Corn appears to not be digestible to goats, and whole corn can cause diarrhea in addition to acidosis. Unfortunately, corn and corn gluten are common ingredients in commercial pelleted feeds. The key to feeding less grain, is good quality hay and forage. For us that means pasture improvement, which is another goal we're working on. The breed of the goat seems to matter too. We currently have Nubians and a Pygmy. The Nubians are not what's considered "easy keepers," i.e. not easy to keep weight on them. While Pygmies can keep their rumens big and bulging on just hay, the Nubians can't. Kinders fortunately, inherit the feed to flesh conversion ability from their Pygmy genetics. (They inherit their copious rich milk production from their Nubian side). Another feed controversy is soy. Not only because of non-digestibility (especially in raw soybeans), but because if contains so many phytohormones, which can cause thyroid and other hormone related problems. (This makes soy a problem for human consumption as well.) Soy, like corn gluten, is for protein. At 45 to 48% crude protein however, soy is hard to match in a feed mix. De-seeding black oil sunflower heads. Just rub the heads over the screen. Not only are corn and soy common ingredients in commercial feeds (both for livestock and for pets), but both are likely genetically modified products. These are strong motivators for growing and mixing my own feed. However, doing so without soy presents a protein challenge. Milking does are said to need 16% protein, laying hens 16 to 20%, though how they came up with those figures, I don't know. Since this is higher than what most grains, hay, and forage contain, it becomes a puzzle as to how to achieve at least a 16% protein content in a natural diet without soy. Protein puzzles me on several levels. Animal scientists speak of "crude protein," which is actually the nitrogen content of a feed. This seems a useless concept, but it is how the protein in animal feeds is measured. They also speak of "digestible protein," which is what the animal can utilize. Human nutritionists on the other hand, speak in terms of "complete proteins" and "essential amino acids." I find myself wondering why these concepts can't apply to animal feeds as well. Things I consider growing for protein include alfalfa or other legume hays (clover , vetch, lespedeza), though I'm not certain yet what varieties grow well in my part of the country. One good protein alternative for me, would seem to be comfrey. At 22 to 33% protein, it can be fed fresh (the goats love it) or dried like hay. Comfrey, like alfalfa, also provides calcium. Grain amaranth is another possibility, with crude protein levels of 12 to 17%. Some folks say though, that since it's in the pigweed family (reportedly poisonous to goats), it shouldn't be fed to them. Many other goat owners however, report no problems. Something I haven't tried yet but plan to experiment with this summer, is flax seed. At 20 to 25% crude protein, it seems worth a try. Protein for the chickens is easier to manage. For one thing, they love raw goat milk! And whey, and meat scraps, and grubs from the garden. Protein for chickens is another reason a worm bed is on this year's homestead goal list. The milk also provides much needed calcium for egg shell production, as do those egg shells themselves. Dried and finely crushed, the chickens love them, and between these two things, their shells are strong and hard without supplementing with oyster shells (something I can't produce for myself). This is where my own research almost becomes a problem. Animal diets, like human diets, seem to be shrouded in controversy; one person claims X is dangerous while another swears by it. Pulses in particular, are said to be indigestible unless processed. So now I'm supposed to cook for my chickens and goats too? I begin to ponder, and wonder how people fed their animals properly before industrially manufactured feeds became available. Some might say all livestock until that time was undernourished, though I realize that soil nutrients have been depleted over the decades. It seems to me that the more scientific the process gets, the more complicated things become. Not that science hasn't benefited us greatly, but when it walked in the door, the simple life seems to have gone out the window. On the other hand, perhaps our pursuit of high production purebreds has forced us to rely on high production feeds as well? For the goats, I've experimented with my own grain mix of 2 parts oats, 2 parts whole wheat, and 1 part black oil sunflower seeds, all locally available. Whether I have that on hand or am feeding commercial pellets, I also supplement with alfalfa pellets for protein and calcium, since our homegrown hay is not the best quality yet. To my last batch of grain mix, I was able to add the BOSS I harvested from the garden, plus most of the seed I collected from my harvest of broom corn. Broom corn is actually a sorghum. The sorghums can be grown for grain, syrup, or broom making in my case. It did very well for me and I discovered that the goats also relish the leaves, either fresh or dried. 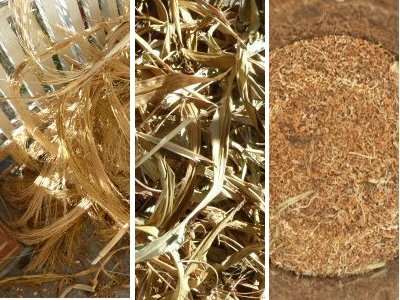 Actually I've learned that quite a few things (herbs, greens, & leaves) can be dried and tossed into the hay as a treat. This year I plan to plant a variety called Mennonite. It reportedly can be used for syrup making and grain. I've also been experimenting with gardening for them, seeing what else we can grow and forage that they'll eat. For goats, it's all relative. Something they'll turn their noses up at during summer when there's more choice, is the very thing they'll fight over when winter pickins are slim. I planted a few items just for them in the winter garden, mangels for example, and collards, which we can eat too. They get greens from the turnips, beets, and kale, plus mangel thinnings, turnip roots and some of my stored sweet potatoes too. They like rose hips, cabbage, and broccoli leaves as well. I'd hoped to have pumpkins and winter squash for them as well, but mine didn't do well this year. Next summer I'll plant sugar beets for them, and Jerusalem Artichokes for them and us too. 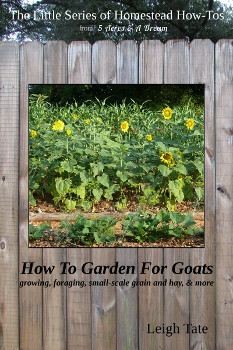 A good article about goats and garden vegetables can be found here, "Planting a Goat Garden". Well, this has been a long post, and I know some of it is redundant; very similar to what I wrote in my first post on this subject. Though we've made some progress on this, my questions obviously remain the same. If you don't have critters or aren't interested in growing your own feeds, I've probably lost you long since. Unfortunately it would appear that I still have more questions than answers. Does everything in life have to be this complicated? UPDATE: Well, I finally pulled together my research and experience with feeding goats and put it into a little eBook entitled How To Garden For Goats: gardening, foraging, small-scale grain and hay, & more. Click here for a list of chapters and where to buy. I've inventoried my saved seeds, I've perused the seed catalogues, and I've doodled some on graph paper. I think I'm ready to make this year's seed orders. The fun part is figuring out what I want to order. In the past I've always tried to divvy my order amongst all the seed companies I want to support. Each year though, I order less because I've saved more. Now, all that shipping & handling adds up. This year I figured out which two companies carry everything I want, from the ones that send me catalogues that is. I've ordered from Shumway since the 1970s. Even though they don't carry organic seeds, and don't necessarily specialize in open pollinated seeds, they still have a good selection of heritage seeds, plus carry things others don't, like mangels, sugar beets, collards, bulk farm seed (pasture grasses and legumes, and field corn). I've also finally figured out where I want to plant some Jerusalem artichoke. Rather than mail order these however, I will just buy them at someplace like Whole Foods. Same with my potatoes. Mine did lousy last year, so I'll start all over with Red Pontiac seed potatoes, which we love and are locally available. Everything else will be grown from saved seed, with the exception of sweet potatoes, which I'll grow from slips. Of the two varieties I planted last summer, Vardaman did the best, so I'll use it for the slips. I did consider a different variety of field corn, Hickory King. When I researched grinding cornmeal, it was highly recommended for that purpose. However it boasted large kernels and since I also use mine for chicken feed, I decided to stick with the smaller kerneled Truckers Favorite. I have no complaints about the corn bread it makes, and I have plenty of saved seed from last year's harvest. We had grilled burgers for dinner the other night, and you know what sounded good to go with them? Fried green tomatoes along with some sauerruben to complete the meal. It was a perfect opportunity to try the green tomato slices I canned last November. Several folks asked then, if I'd share how well they worked for frying. So here are the results, along with how I made them. can rub grease spatters right into the cast iron cooktop. If I'm using fresh tomatoes, I slice them about 1/4 in. thick. The canned ones were sliced a little thicker, 3/8 to 1/2 inch. Coating with flour first, helps the egg & cornmeal stick to the food being fried. I used to skip this step and then wonder why my breading always fell off in the pan. Frozen eggs work well for this. When I first took the tomato slices out of the jar, they were soft from the canning process. However, they held up beautifully and were just as tasty as fresh. The fun part was that everything except the seasonings and fat, was homegrown: tomatoes, milk, eggs, corn meal. In that original blog post, readers discussed frying frozen green tomato slices in the comments. There was mention that these turned out soggy, so The Weekend Homesteader did some experimenting. She reported on her blog, that if breaded straight from the freezer and put still frozen into the pan, they turned out just like fresh. Good to know, eh? I asked Dan if the canned green tomatoes are a keeper. He and I both wholeheartedly agreed that indeed they are. The next step in our kitchen remodel is the floor. This is a big purchase, one we had to save up for. We discussed all the flooring possibilities, and ended up choosing 9 inch wide pine plank flooring. Dan thinks this is the best option, considering how uneven and dippy our kitchen floor is. He definitely did not want ceramic tiles, and if we chose a vinyl floor, we would have to rebuild the floor to correct the problem, like we did for the wood cookstove only more extensively. (He said leaving it as is was not an option.) With the planks, we hope to shim where it's dipped, and come out with a fairly even and level floor in the end. This will also give us a thicker, snugger, more sturdy floor. Our house was built without subflooring. I don't know if this was typical of 1920s construction, but the only floor is one layer of 3/4 inch oak. The boards are no longer air tight, so I'll be glad to put down a vapor barrier and another 3/4 inch on top of that. As a bonus, a plank floor will go with our country kitchen motif. This is one of the mini pendants I purchased awhile back. Because my kitchen is small, I will have limited cupboard space. Consequently I have been looking at every alternative for storage that I can. This had been sitting around in a box for awhile, just waiting for the right moment to hang. Dan also woodburned a new door inset for our key rack! The key rack was here when we bought the house. Most recently, we installed the ceiling fan I bought last summer. What a difference this makes in pushing the warm, wood cookstove heated air out of the kitchen and into the back bathroom and dining room. I have to say that with the two woodstoves, our house is finally warm this winter. It's not that we have a lot of square footage to heat (about 1400 sq. ft), it's the placement of the stoves. The soapstone stove should be adequate to heat all that, but being in the front of the house with a maze of doors for the heat to pass through, and the back of the house was always cold. The wood cookstove takes care of that and the ceiling fans on low reverse do wonders to circulate the heat. On top of that, the kitchen retains heat for quite awhile, thanks to the new insulation. As you can see, we haven't been idle. Buying smaller items along the way was a good idea. Not only because it spreads out the cost, but because Dan is a project person and when the weather doesn't cooperate for outdoor projects, he has something to do in the house. Hopefully once we get the floor down we'll have mild weather for the staining and finishing. After that will come the cabinetry. We have some of it, but some of it will need to be purchased (another save-up-for item). Then comes plumbing (I have the fixture but not the sink), countertops (we bought these about a month ago), and the seemingly endless (right, Mama Pea?) list of finishing up jobs, mostly moulding and trimwork. With a little good providence, my new kitchen should be ready for business this spring! Perhaps I've been a bit slow to figure this out, but one day, while we were getting ready to make a trip to the recycling center / landfill, it occurred to me that the only things we throw away come from things we purchased, not from things we produce on the homestead. While we waste nothing that we grow, gather, produce, or raise for ourselves, our trash bags were filled with wrapping, packing, boxes, containers, broken parts, broken items, all from things we bought. On top of that, I am required to buy those trash bags just to throw the stuff away. This is frustrating on many levels. As a conscientious inhabitant of the earth, it goes against my sense of responsible stewardship to throw anything away. As a consumer, it's frustrating to know I've paid for every scrap of packaging and filler I have no use for, because those costs are passed on to the consumer. Plus, it takes time and fuel to dispose of the stuff, either mine, or a disposal company's (with the additional cost of paying for their service). As a homesteader it can be downright discouraging, because it means I'm still far too dependent on the consumer system. Industry's answer to this recycling. Many products and packaging are now manufactured with recycled materials. Well, we should have been doing that all along. But have you noticed how these products almost always cost more? In my way of thinking, if the manufacturers are really wanting to do something to help the environment, shouldn't these cost less, to encourage everybody to buy them? Instead, it is expected that we will willingly pay more, for the sake of saving the planet. I don't get the thinking here. If their bottom line is money, doesn't it follow that mine is too? The eye opener for me was when we lived in Florida. I was researching staring an herb farm, and somehow got a free subscription to a small business owners magazine. The first issue was about businesses going green. This was right up my alley, so I read it from cover to cover. When I set the magazine down, I was dismayed. Not one article, column, tip, ad, or letter to the editor, ever once mentioned environmental concerns, responsibilities, or motivations. The entire gist of the magazine was about profit, and concerns about losing profit because "green" products are more expensive to manufacture. The advice focused on advertising tips, semantics, gimmicks, how to balance the cost with short cuts, and using environmentally friendly products to bait customers. Something else that bothers me, is that thanks to advertising, the media, and a few well meaning but out of touch environmental groups, there is a trend to make the consumer feel guilty about destroying the planet. While we do have responsibility in regards to our personal habits, I can't help but point out that in our modern way of life, we can only choose from what's offered to us. If I go to the store and am offered six brands of toilet paper, all wastefully manufactured, what can I do. I doubt the greenest person on earth is going to deny themselves toilet paper just to make a point. I know that's a silly example, but if we don't have a choice, or can't afford the "right" choice, then why are we being blamed for the problem? I think most of us will agree that our 21st century lifestyle, with all it's choices and conveniences, comes with a price. That price comes in the form of overflowing landfills and pollution from the byproducts of the manufacturing process. Recycling is one good answer, assuming the recycling process is more energy efficient than the manufacturing process, which it isn't always. Even so, it is only a new innovation because trash and garbage are a relatively new innovation. Before the industrial age, folks had less. In having to make do with less, they were creative and clever with what they had. They produced very little actual waste. This was their way of life. Now, our economic system is based on manufacturing rather than agriculture, and on ever increasing profits and "consumer spending," rather than meeting needs. Consequently, we have become trapped in a buy / waste cycle, so that the only way to truly waste less, is to buy less. However, we are repeatedly told that confident consumer spending is the key to economic health and growth, the key to pulling us out of the recession. When folks stop purchasing, companies lay people off, jobs become scarce, and we approach economic disaster. So. More buying = more waste = destroy the planet. Less buying = less waste = economic disaster. What a conundrum! Such realizations demand action, and I'm no exception. I'm not however, going to jump on any bandwagons. With all respect to those for whom they are important, movements are not the answer. Not that they don't stem from good motives, but movements tend to turn into advertising ploys, fads, and political weapons. I say, let's just start doing what we ought to have been doing all along, and training our children and grandchildren to do the same. What we ought to be doing as consumers, is learning how to make do with less. How to do without. How to be creative with what we have. How to be content with what we have. How not to be suckered by advertising, fads, and trends. How to resist impulse buying. How to analyze whether or not we really need a thing. How to accurately appraise the value of that thing. How to do more for ourselves, grow more for ourselves, make more for ourselves. You frugal folks understand this. And the economy? Well, I've said it before; the economy never should have been based on a consumer / profit system in the first place. Is a no waste way of life a realistic goal? Is it something we can actually achieve? Honestly, unless given enough time, I don't know. I do know however, that without a goal, no progress is made, and that this is an area in which I still have freedom to make choices. So, no challenges, no invitations to join me, just sayin' what's on my mind. Something for each of us to think about. Don't you just hate it when you get some stupid song stuck in your head? Actually, I can change it now. What do you all do with your leftover pickle juice? Being the frugal sort, I cannot stand to throw anything out if it might be useful. Pickle juice is one of those things that is useful, but I have more of it than uses for it. We like it in homemade cole slaw, and Dan occasionally adds a bit to a glass of water, to give it some zing. Because of the salt and acidity, it's one canning liquid I won't use to water any plants or in the compost. I'm sure it could be used in salad dressings. Does anyone have any recipes? Any other suggestions? Click the link for more or to join in. My Sweetheart wood cookstove has a nice deep, but narrow oven. I was concerned about whether or not my favorite bakeware would fit, so I got it all out to see. My favorite cookie sheets failed the test. These are old Air Bakes, which I love because I'm prone to burn cookies on the bottom. Unfortunately, they are a smidge too wide. The cookie sheets I never use, on the other hand, fit fine. This is the roasting pan I use once a year for the Thanksgiving turkey. With the rack on the bottom, I think there's plenty of room for that once a year bird. This smaller covered roasting pan, I use for whole chickens. The stoneware baking dish above was a thrift store find. It's by Pampered Chef and was apparently never used. It fits nicely as well, but I've never really cooked with clay or stoneware before. Any tips? Large bread pans, for bread or meatloaf. My beloved pizza stone. Alas. My not loved at all pizza stone. Hmph. ... fits just fine. Rats. This is a dilemma. Since Friday night pizza is mandatory at our house, I think the best solution would be to see if I can order a second oven rack (the stove came with only one.) That way I could bake two smaller pizzas. The part is listed in the owner's manual, so I'll have to see what I can do. About a year or so ago, I purchased some fresh ginger to use for something, I can't remember what now. Anyway, I had a rhizome leftover and wondered whether or not I could plant it. We use a lot of ginger, but being a tropical plant, I didn't know if it was possible to grow in the house. I did a little online research, and finally found good information in Tropical Permaculture's article, "Growing Ginger Root". I decided to give it a try and planted my rhizome in a 2 gallon pot. It was slow to start, but eventually grew into a pretty potted plant (above). When frost was imminent I brought it indoors, and pretty much left it alone until all the leaves died back. Just a few days ago, I pulled the dead leaves and dug it up. It was lovely because I could smell the ginger even before I got it out of the pot. I didn't know what to expect, but there were several good size clumps of rhizomes. I should have weighed them, but didn't think about it at the time; it's all in the bowl in the photo on the left. It's not a year's worth for us, but it's a start. Considering how easy it was to grow, growing more will be no problem, though at the moment I'm not set up for many house plants due to our remodeling projects. I ended up replanting two of the budding rhizomes, and washed the rest to make candied ginger. I looked at a lot of candied ginger recipes. The two I liked the best were from Alternative Medicine About.com because it was the simplest, and this one, Candied Ginger Simplified, because it was so thorough. I used 2 cups of chopped ginger, 3 cups water, and 1 cup sugar. I looked for a recipe using honey instead of sugar, but didn't find anything satisfactory. Also, I did not peel the ginger, I'm just not into peeling things if it can be helped. If that effects it unpleasantly, I'll peel it next year. I simmered it until it was soft, drained, and then dried in a slow oven on a cookie sheet. The last step was to coat with sugar, something I did because it seemed traditional. We use candied ginger medicinally, because it is excellent for nausea, upset stomach, car sickness, flatulence, or any other digestive problems. It really settles a queasy tummy in a jiffy. I also use a lot of powdered ginger, both in baking and in any herbal formula that might be strong on the stomach, like a fresh garlic drink. I haven't yet mastered fine powdering herbs, so I'll save that project for another year. We use some fresh in various tinctures. It's also an ingredient in several tea blends I buy. All I'll need to grow a year's worth is a number of large pots. And a place to put them during the winter. I'll have to keep track of this batch, to get an idea of how long it lasts, and how many rhizomes I'll need to plant. So nice this is so easy to grow. 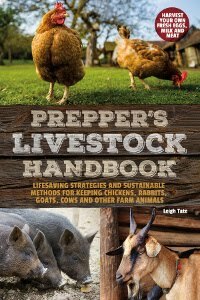 UPDATE: The many visitors to this post have inspired me to add Volume 9 to my The Little Series of Homestead How-Tos eBook series. 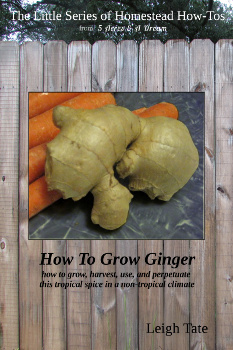 I wanted to offer a more comprehensive and detailed guide to growing ginger. 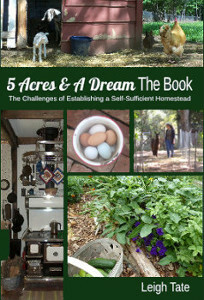 Includes chapters on selecting rhizomes, planting, caring for, harvesting, and maintaining a self-sustaining supply. Storage and preservation techniques are discussed, plus how to candy ginger, how to dehydrate and powder it, how to lacto-ferment it, and how to make a ginger bug. Only $1.99. Click here for more information and where to buy. It is with great relief that I can say we're finally down to only one rooster. This was the second batch of chicks we've raised, but I have to say that the two experiences were vastly different. Our first chicks were of mixed breeds: Delawares, Ameraucanas, Welsummers, and Barred Hollands. Out of 24, we ended up with 13 roosters. Almost all of those were either scardy cats or greedy guts; they either ran away at the first loud noise, or else they pushed every other chicken out of the way and gobbled down all of the feed. There was only one that actually took up what I would call roostering, i.e. keeping an eye out for the hens and finding them things to eat. He was obviously the one to keep at the time. Out of this year's batch of 18 chicks we had ended up with 14 survivors. Eight of these were roosters. They were different for several reasons: all but one was the same breed (Buff Orpington), were hen raised, and had an adult rooster already on the premises. A rooster that chased them all over the place, I might add. The biggest difference however, is that with our first batch, it was every rooster for himself. They all competed with one another for the food and the hens. These however, banded together as a pack. They would forage together with one keeping watch and giving warning if I walked around the corner. They would chase, corner, and jump the hens. One would pin her down while the others all pecked at her head. All of this caused no little upset in my original flock, especially once Lord B was gone. Mama Welsummer had a place in the new pecking order, but the other Wellie and Barred Holland refused to leave the coop. The Ameraucana sisters vacated it altogether, taking up residence in the garden tool room of the coal barn. I realized part of what was going on was because we already had a flock rooster. I assumed once he was gone however, things would settle down and another would naturally take his place. That wasn't the case. There were changes in the cockerels' social structure as we thinned their numbers, but none became any more attached to the pullets and hens than any other. They were their own team. ... not so much based on personality characteristics, but for some reason, he didn't hang out with the other Buff Orpingtons as much. In fact, he could often be found with with my older hens. They in turn, kept a wary eye on him, but didn't run in terror every time they saw him. I even saw him try to sweet talk one of the older gals one time, with some tidbit in his beak. I figured if I kept this guy, he would eventually be accepted by all the hens, and I might have a chance of restoring peace in my chicken yard. In addition, he was one of the largest cockerels, which is a quality to pass on to offspring. With only one roo, the chicken yard was immediately quieter and calmer. Since there's less roosters now, there's less crowing in general, but even on his own, this one doesn't seem to crow as much as Lord B did. Nor is he constantly "talking." With no other roos around, the chosen one has no competition and no one else to hang out with (nor run away from), but the hens. Initially he spent more time with the older girls, but gradually migrated toward the Buffs. Now that things have settled down, he tends to stick with the Buffs. All the chickens spend the night in the coop (the Ameraucanas consented to come back), but it's still as though we have two flocks. Lord Buff will chase the older gals back into the coop if they try to come out into the yard, though he doesn't harass them like the other cockerels did. About the only original hen who is happy with the new set-up is Lady B, my original Barred Holland hen. She was at the absolute bottom of the original pecking order. She was picked on terribly to the point of having most of her feathers pulled out. Now, she's closer to the top, over most of the Buff pullets. She's a happy camper. I'd like to think that things will eventually work out. Perhaps they will. At least things have settled down in the chicken yard. Does that mean what you think it means? Yup. That means that Dan finally got the chimney pipe installed and we're at long last using our wood cookstove. Because the stove spent almost a year in Dan's workshop, we're treating it like new. That means half a dozen or so small, break-in fires to dry out the firebrick and cast iron top. These are prone to pick up moisture and in our humidity, that is surely the case. Plus, we don't think the original owner used it much. I've had quite a few readers ask me whether this is a new stove or an antique. It was purchased new by the people we bought it from, and is still being manufactured by AGA MARVEL in Ontario. That was important to Dan, because it means we can purchase replacement parts if needed. 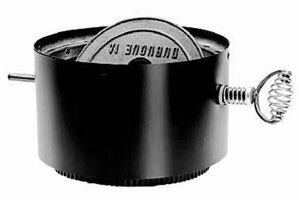 Being new also means it has a UL listing, and had built in dampers instead of requiring a stovepipe damper. dampers that are built in to the stove. We did look at a number of antique stoves first. While relatively cheap (in the $400 to $700 range), every one we looked at had problems: long gone door seals; loose legs; missing grates, missing firebrick, missing doors, missing plate covers; cracks in the fire box, oven, or cast iron top; pitted cast iron; and if they had them, the water reservoirs usually had holes. The companies that made these stoves are long since out of business, so finding replacement parts would be near impossible. We also researched having repairs done, but these would have cost more than the stove. And if the system couldn't be made airtight, it would have been a real waste of fuel, heat, and money. We finally found my dream stove on Craigslist, a Waterford Stanley, but even used, it was going for more money than we had. Patience paid off however, and we finally found this one, a Heartland Sweetheart. It came with a water reservoir, and the sellers were including their double walled stove pipe, insulated chimney pipe, connectors, collars, caps, etc, plus a floor protector. We paid $2000 for everything, which I figured new would have been somewhere close to $8000. I absolutely love cooking on it. Even a small fire heats the cast iron top over the firebox quickly. A pot of oatmeal can start to a simmer within five minutes. That's in one of my stainless steel pots. Cast iron takes longer to heat up, but that's where removing a burner plate and setting the pot into the hole comes in handy. I'm still learning damper settings as well as the temperature variations across the flat top. I love being able to regulate cooking temperature merely by moving a pot or a pan. I haven't tried the oven yet because we're still doing our break-in fires. Another plus, the warming oven. I hate putting hot food on cold plates, but now I don't have to any more. The warming oven is wonderful to warm plates, bowls, mugs, and soften butter. I'll also be able to use it to start yeast and raise bread dough. Best of all, my kitchen is warm now. I feel so blessed.